Have you ever dreamed of promoting your favorite gold character beyond Elite 7 and Level 50? Now is your chance. 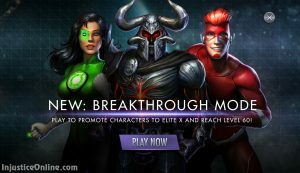 With Injustice Mobile Version 2.13 you now have the unique possibility to challenge an extremely powerful Ares in the brand new Breakthrough Mode. By defeating him you will allow one of your characters to be promoted one step further until you reach Elite 10. Once there you will also unlock character evolution till Level 60. 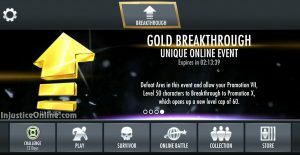 The event is available only for a limited time and has a cool down of 2 hours once you complete it. In case you fail you will be able to repeat it immediately. 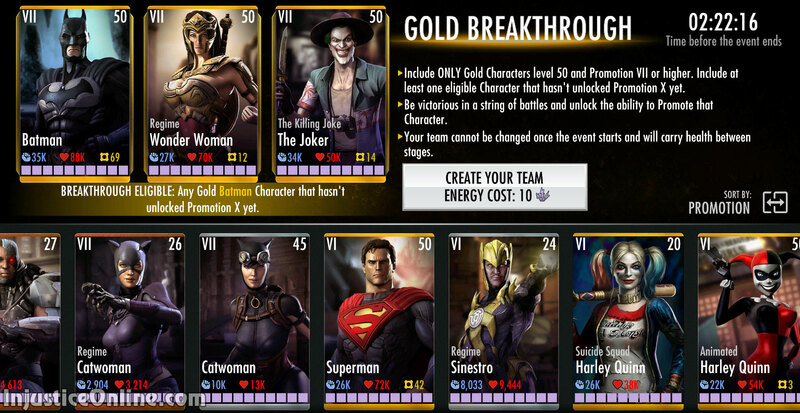 The Breakthrough Mode allows the use only of gold characters who have already reached level 50. You need to have at least three of them in order to play it. In addition, at least one of these characters must be breakthrough eligible at the moment. Who that character is will rotate. 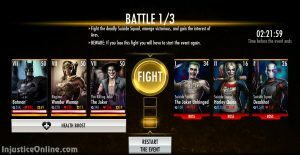 Once you have your team you will face three survivor battles with your team not able to recover health after the battle. You do however have the option to restore a bit of health after each battle with credits. I suggest you do that each time for each character. 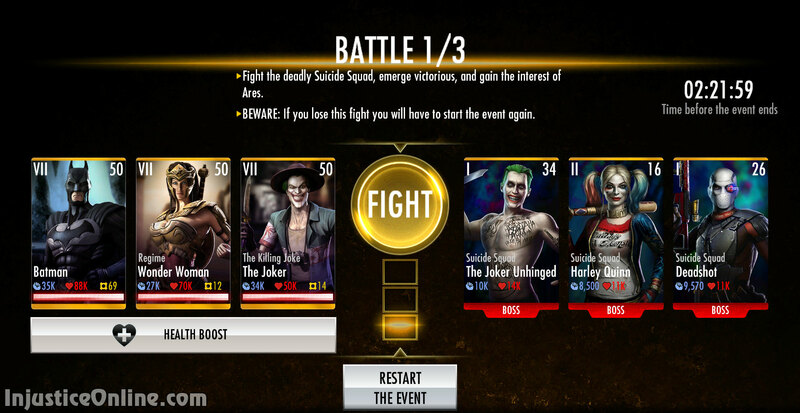 The third battle is against a very powerful boss Ares who has an instant kill special move. You can defend yourself against this move by tapping the screen at the right moment. 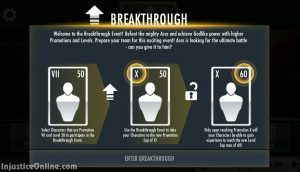 Once you kill Ares you will be rewarded with the ability to promote one of the breakthrough eligible characters one Promotion level further. Know something we don’t? Let us know in the comments below. I expect a different character to be eligible each day. So we just have to be patient.